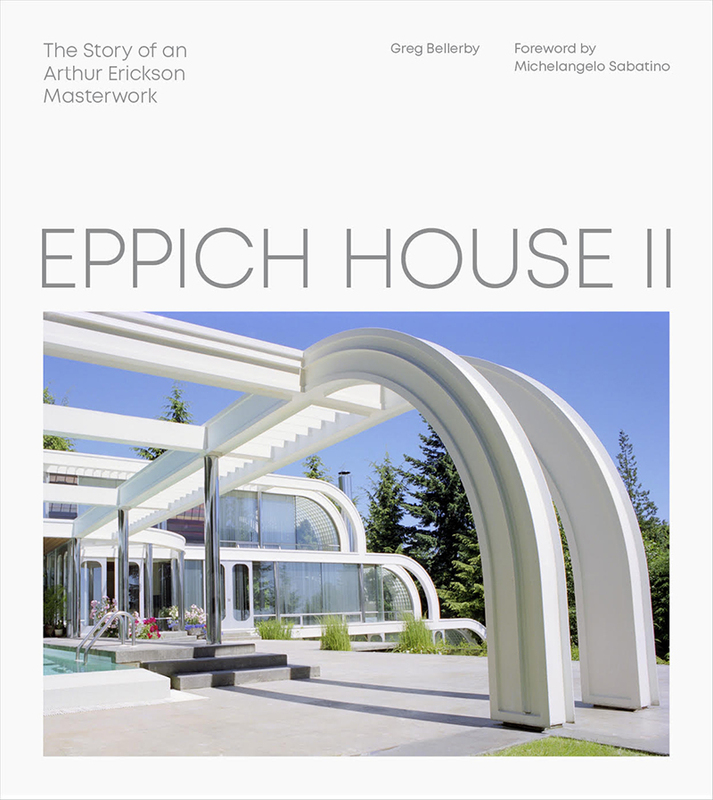 On March 21st from 5 to 7 pm, Vancouver’s Inform Interiors is hosting a book launch and presentation of Eppich House, The Story of An Arthur Erickson Masterwork II. The presentation will begin at approximately 6pm at the store’s 50 Water Street Showroom. The house is described in the Foreword as “An episode in Pacific Northwest architectural glamour” by Michelangelo Sabatino (Dean of the College of Architecture of the Illinois Institute of Technology, and co-author with Rhodri Windsor Liscombe of Canada–Modern Architectures in History). Sabatino situates the house within Vancouver’s evolution, Erickson’s larger career, and developments in 20th-century residential architecture in general. Architecture expert Greg Bellerby weaves into his essay extensive interviews with Erickson, Eppich, and architect Nick Milkovich, as well as contributions from landscape architect Cornelia Oberlander. Series editor and nephew of Arthur Erickson, Geoffrey Erickson, AOCA (Editor of Francisco Kripacz, Interior Design, by Arthur Erickson), will present this extraordinary achievement along with writer Greg Bellerby, and architect Nick Milkovich. The event is free to attend, but registration is requested at this link.